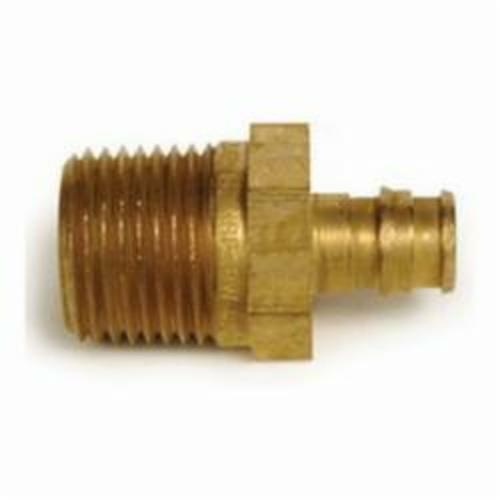 ProPEX® Male Threaded Adapter connects Uponor PEX tubing to male NPT threads for use in hydronic heating and cooling systems. One end of the adapter is manufactured with Uponor ProPEX® fittings for connection to Wirsbo hePEX™ tubing and the other end is manufactured to adapt female threaded connections. These adapters are not safe for direct burial in soil.